Q: In what could define the thrust of historical research under the NDA government, the Indian Council Of Historical Research (ICHR) has decided to pursue two new projects, including one on mapping the country’s scientific achievements starting from the Vedic era up to the 18th century. A: The council, reconstituted by the Ministry of Human Resource Development nine months ago, met on September 23, when it also approved a proposal to map the history of environmental science in the country from ancient times to the modern era. The ICHR will draft historians to study ancient literature — Vedas, Puranas, Dharmasastras, Artha Sastra, Vedanga Jyotisha, Rasasastra and Vastu Sastra — to trace the country’s achievements in astronomy, chemistry, cosmology, botany, ayurveda, architecture, aesthetics and military technology, among other technical and scientific disciplines. “Early orientalists like Sir Monier Williams were surprised to see great advances of ancient Indians in the development of various disciplines of science and art. The development of Indian sciences had been continuous till our colonial beginnings. 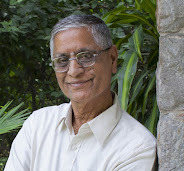 We also find amazing strides in the development of science in Pali literature — both Buddhist and Jain — and later in Persian literature and vernacular literatures,” ICHR chairman Y Sudershan Rao said in an email response to The Indian Express. India’s achievements in science and technology have been in focus ever since Prime Minister Narendra Modi used examples from the Mahabharata and Ramayana to illustrate the country’s scientific temperament in ancient times. Rao said he was certain the new proposals will not ruffle any feathers. “I am speaking of objective history of the past. I don’t think any historian would have any reservations for these efforts of ICHR. However, I welcome any suggestions for the refinement or improvement of these projects. I welcome any constructive criticism for improvement of the themes and methodological approaches,” he said. The council’s second project aims to map “the history of environmental consciousness in the country”, which is “very much evident in our ancient texts starting from the Vedas”. “It seems the ancient people were very cautious in preserving the environment even while they were planning to expand their economic activity to meet the demands of growing population. Today, it is the other way around. This project will trace the history of our effort in safeguarding the natural environment and strategies adopted for healthy living,” Rao said. The ICHR’s aim is to finish the projects in three years. The council will constitute an expert committee, an advisory panel and a monitoring committee for each of the two proposals to finalise their implementation. While the council has not earmarked a budget for the ambitious projects, it wants to raise funds from external sources, in addition to regular grants from the government. “The corporate, business houses and philanthropists may come forward to sponsor major research projects for general good of humanity and society,” Rao said. The ICHR’s annual allocation for 2015-16 is approximately Rs 19 crore, of which Rs 8 crore is allocated for research and fellowship grants. Apart from the two proposals, the Council has also approved the translation of Dutch texts on Indian history, in addition to the ongoing translation of French sources.